Did you ever hear the one about the daughter of a mobster who opened a restaurant  in Paris? No? Well, it’s not a joke so much as it is real life. Lucia Riina, daughter of Italian mafia-man Salvatore “Totò” Riina  (nicknamed “The Beast”), has opened a restaurant in the City of Light, to much buzz. But the buzz isn’t just due to her lineage; it’s the name she’s chosen for the establishment: Corleone. Surely, if you’re a film  buff, you know the name Corleone– a name which is practically synonymous with mob activity. 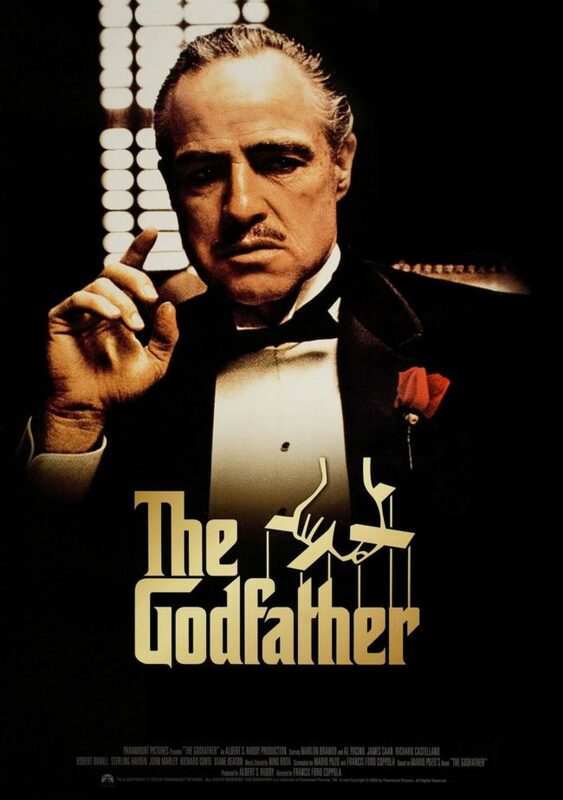 It was the name of the famous character in the Godfather films, Vito Corleone. 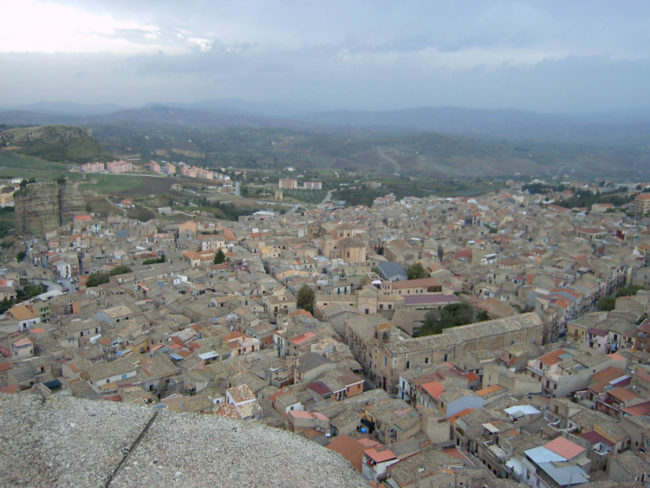 It’s also the name of Lucia Riina’s Sicilian hometown – Corleone. Lucia moved to France to build a new life for herself, with her husband and their daughter. Lucia complained “that she could not build a life for herself in Italy,” reports The Telegraph , because of the strong negative associations people had to her family name. So, like countless before her, Lucia moved to the City of Light, where opportunity for not only new restaurant businesses – but also, personal reinvention – await all who arrive. 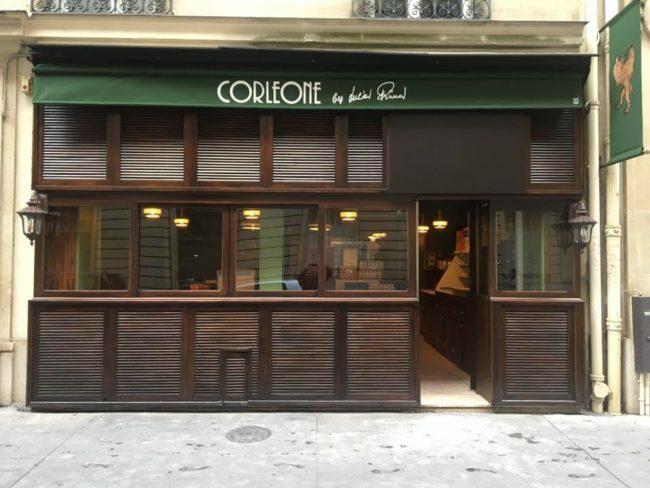 The mayor of the town of Corleone is said to be “furious” to have their name tied to the restaurant, saying it “brings it into disreport and revives its dark past.”  There will always be naysayers to controversial ideas; Parisians know this truth  well. Situated near the Arc de Triomphe, this new restaurant boasts “authentic Italian-Sicilian food.” A couple of positive reviews fill the restaurant’s Facebook page  (though, the review numbers are quite slim – there are only 3, but 15 people on the page have recommended the restaurant). Another reviewer commented on how good the cannolis were (recalling to mind the famous line from the Godfather films: “Leave the gun, take the cannoli”). With endorsements like these, I imagine bottoms will soon be filling Corleone’s chairs come spring, following the post-holiday-hospitality-slump, which seems to plague many restaurants in January and February. And the third reviewer, another Italian, noted the décor, which includes photos of Lucia Riina’s mobster father. The diner found this shameful and “disconcerting.” One person’s disconcerting, though, is another person’s delight. Fans of theme restaurants, as well as cinephiles, will likely get a kick out of this restaurant, its concept, and its audacity at existing. Though, this is just one of the many tasty Italian restaurants in Paris . In a city marked for its place of dominance in the culinary world, any restaurant – no matter its cuisine served – pits itself against fierce competition, it’s the reason that Paris draws so many foodies and culinary professionals. It’s a hub. And like any hub, it’s crowded. Among the many good Italian restaurants in Paris, The New York Times put together a commendable list  a few years ago (with the rate of restaurant turnover, however, it’s advisable to check that a listed establishment is still open for business before you plan your visit to a place on the list!). Trip Advisor ranks the 10 Best Italian restaurants in Paris , with the top two as Via Emilia (22 rue la Bruyere in the 9th) and Pastamore (37 boulevard du Montparnasse in the 6th), respectively. Time will tell if Corleone makes it to “Best Of” lists. In the meantime, take a load off the next time you’re roaming around the 8th, and stop into Corleone to sip a coffee, nibble on a cannoli, and enjoy being an active participant in the Parisian zeitgeist.